The Carmelo Anthony-New York Knicks seems to be over. ESPN’s Adrian Wojnarowski is reporting that the Knicks’ star has been traded to the Oklahoma City Thunder. OKC already added Paul George this offseason, and now will have another scoring threat on the court alongside 2016-2017 MVP Russell Westbrook. In return, the Knicks will receive Enes Kanter, Doug McDermott, and a draft pick. 2016 Rio Olympics - Basketball - Final - Men's Gold Medal Game Serbia v USA - Carioca Arena 1 - Rio de Janeiro, Brazil - 21/8/2016. Head coach Mike Krzyzewski (USA) of the USA congratulates Carmelo Anthony (USA) of the USA during the latter part of the game. REUTERS/Shannon Stapleton FOR EDITORIAL USE ONLY. NOT FOR SALE FOR MARKETING OR ADVERTISING CAMPAIGNS. Anthony had a no-trade clause that he reportedly didn’t want to waive for anyone except Houston, but decided to open up his options after the Knicks couldn’t reach a deal with the Rockets. 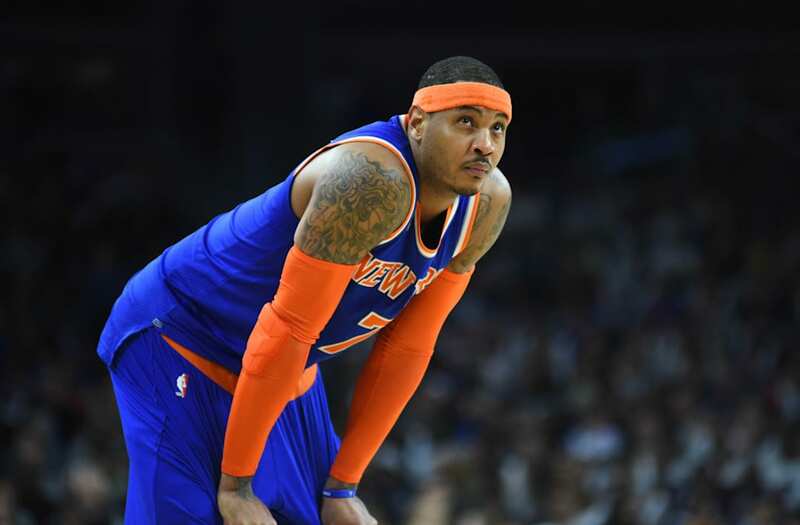 The post Report: Carmelo Anthony Has Been Traded To Oklahoma City appeared first on The Spun.